A 46 years old patient presented at the university of UANL with a broken anterior composite bridge and very compromised esthetic. The patient also had a very deep overbite that makes the lower incisors occluded in the palatal gingiva. 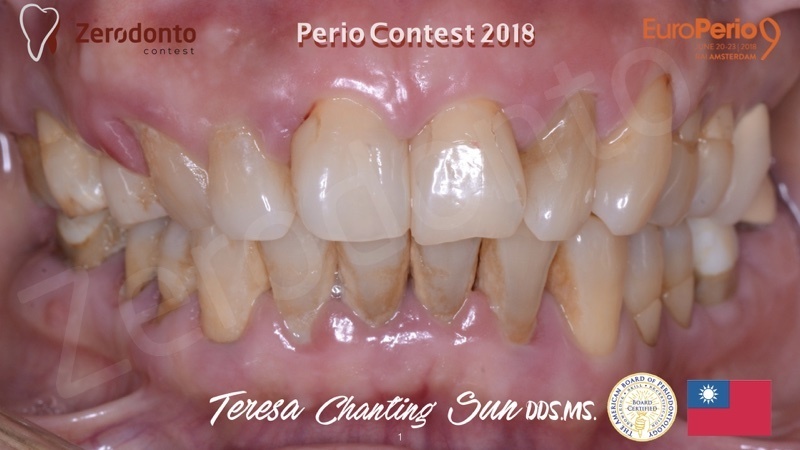 Analyzing these factors we began with impressions, study casts, face bow, radiographs, perio chart, photos, and referring the patient to the perio and ortho department. After analyzing the case, we have a meeting where the three departments discuss the treatment plan, the objectives and the times of each one. Me gusto mucho su tramiento, impresionante el trabajo en equipo. Algun dia me gustaria ser un profesional que de ese tipo de tratamiento saludos desde Chile.